SQL injection is an attack to circumvent scripts using SQL queries, as is often the case on websites, and especially for user authentication systems. SQL, or Structured Query Language, is a Standard and standardized computer pseudo-language, intended to interrogate or manipulate a relational database – Wikipedia. Today, with the development of dynamic websites, it is common to see web applications use a database. They handle so also SQL queries, which may involve variables from of the user. SQL injections, will come because these variables do not are not properly secured, and allow the user to divert queries by any means by injecting SQL code that will be executed. 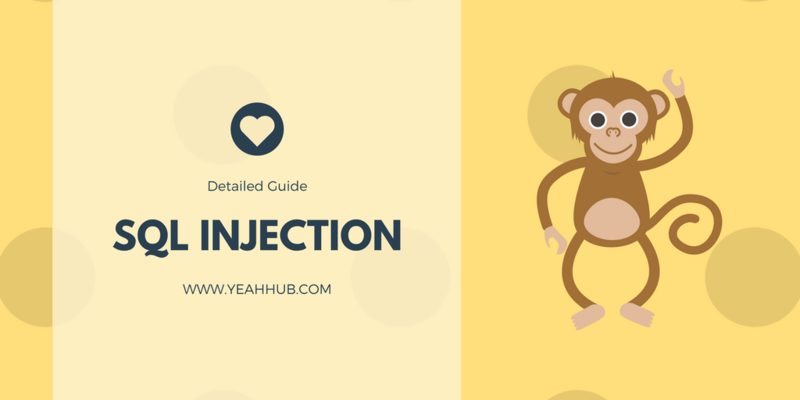 In this article We’ll try to cover the broad field of SQL injections, focusing on injections using MySQL and PHP, but given the evolution of techniques and software, such an article never stays well complete. In this first part, We would only present/recall basic injections, classic examples, useful functions and information for manipulate the data, etc. 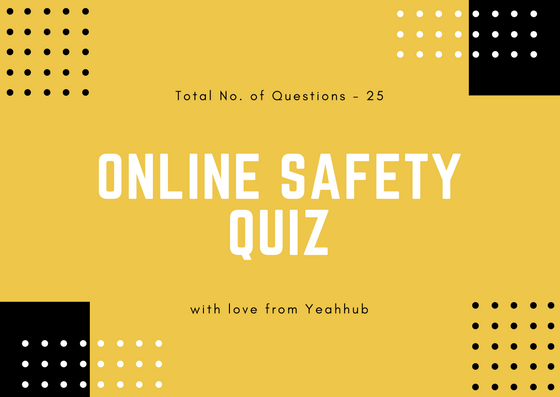 We also advise those who are already a few familiar with the SQL injections to fly over this part and move on to following. Here are some links to the MySQL documentation, for the different tools that we will use here. Of course this list is non-hexaustive. As we understand it, the most common general syntax for bypassing a condition will be “OR assertion_real” or “AND assertion_false” depending on the result wish. The first is an authentication that requires a password, and the second one is a script that checks if the user is banned. In order to make the most of the request we make our injection, it is useful to know the different seams: mainly the number and the names of fields and tables used. During an open-source audit this does not pose difficulties, but when that is not the case we have to find a way to obtain information about the request by ourselves. Let’s start with number of fields. We will use the ORDER BY or GROUP BY, allowing respectively to order or group the returned results according to a precise criterion. This criterion is usually the name of a field in one of the tables that we question. So to order a name list by last name, then by name in alphabetical order we can make SELECT name, surname FROM people ORDER BY name ASC forename. But the sort criterion (or grouping if we use GROUP BY) can also be a number, number which is in fact the index of the field according to which one wants to order the results. So the above query could be rewritten SELECT name, surname FROM population ORDER BY ASC 1,2 where 1 denotes the field name and the field 2 first name. We can therefore determine the number of fields of a request in using the following injection, and waiting for a SQL error: ORDER BY i, where i is a number. If the query contains at least i fields, then it will execute normally and will order the results according to the values ? ?of the ith field, but if it contains less, so it will return an error Unknown column ‘i’ in ‘order clause’. By proceeding step by step, we will know the number query field as soon as you get this error, just subtract 1 at the current value of i. Another way to determine the number of fields in a query would have been to use UNION. This operator allows to join the results of several queries, but for that it is necessary, among other things, that the requests have the same number of fields. UNION The syntax is: SELECT field1, field2, field3 FROM table1 UNION SELECT other1, other2, other3 FROM table2. If the different requests joined by a UNION do not have the same number of field then MySQL will return the ERROR. The used SELECT statements-have a different number of column. So, proceeding in a way incremental as before we will know the number of fields, but this time as soon as we do not get an error but the query runs correctly. These errors will be obtained if the field or the table does not exist: Unknown column ‘whatever_it_is’ in ‘order clause’ and Table ‘field.field_table’ does not exist. By the way we notice that we found a first way to obtain the name of the base used. There is in fact another way to get the structure of mysql databases and tables (for versions> = 5), that’s to query the information_schema information base, but we’ll see that in a future paragraph. Now remains to determine the type of fields, because even though the name is usually quite explicit, it can remain a ambiguity (for example an id field can be an identification number like 42, or a string like “4e694b6c3073”). Unfortunately there is no SQL function like TYPEOF () or GETTYPE () that would return precisely the type of the field (int, bigint, varchar, text, date) but we can still determine if it is a chain of character or number using the CHARSET function (as for names, information_schema will be very useful for the types too, but we see this later). This function returns the character set of the string passed as an argument, as well as by SELECT CHARSET (field) we obtain information on values ? ?stored in the field, so on the field itself. So here we are in possession of enough information about the request where we wish to perform our injection, let’s move on to where we will see how retrieve information about the MySQL environment. There are several types of MySQL variables: variables defined by the user (which is written @name) and the system variables (which are written @@name). They are usable in almost all the requests and can contain interesting information about the database, MySQL and or on the machine where MySQL is installed. It was the first part of this article explaining how to get information, let’s now see another part of MySQL information. There exists in MySQL a database called information_schema which brings together information on the structure of databases and tables, on users, etc. The advantage of this database is that it is accessible in reading to all users, so we can, knowing its structure, interrogate it to recover crucial information in the case of an attack. There exists a second interesting part in MySQL, it’s called simply mysql and contains several tables of information, one of which will interest us the most: the user table. This table contains in particular: the identifiers (login and pass) of all users and hosts from which they are allowed to connect (as well as their privileges but we can already get them from of information_schema). Only problem the tables of this database are only accessible to the super-user (often “root”), so we will not be able to SQL injection to this one only if the MySQL connection was done with the latter. Note that MySQL user passwords are encrypted with the algorithm used by the PASSWORD () function. Now let’s look at a recurring problem in the area of SQL injections: that of the detection, or the escape of some special characters. For example, the directive (soon deleted) magic_quotes_gpc PHP escapes among others the quotes, single and double, so the slightest injection using a quote will be skewed and will fail. Let’s see here various tips, conversions, encodings to try to circumvent these pseudo means of securing. Hexadecimal notation By default MySQL considers data in hexadecimal form (ie formatted like this: 0x53716c496e6a656374) as chains of characters. Thus SELECT 0x61626364 will return abcd. (the data hexadecimal numbers are considered as numbers if they are used in a numeric context, such as: SELECT 0x61 + 0x62, which will return 195.). The advantage of this notation is the one we are looking for: it does not use any special characters. Thus we will be able to completely eliminate. Here’s another way to convert a string: use the CHAR function returns a string of characters constructed from ascii codes passed in argument. So far we have encoded the data that we injections for compare the stored data with the CONV function we will consider stored data (so strings of characters) like numbers and thus we will no longer need to encode the injected data: we will provide numbers directly. CONV used to convert numbers of base to another. The most common bases are base 2 (binary), 10 (decimal) and 16 (hexadecimal), but we can of course extend this to any what between 2 and 36. Here is the basic 36 / base 10 conversion that interests us: indeed the figures of the base 36 are the 10 usual numeric characters (from 0 to 9) and the 26 alphabetic characters (from a to z). So every alphanumeric chain is potentially a base number 36, and so we can convert it in a database for which we will only use classical figures, not requiring the use of quotes. Where 664137574 is the base 10 conversion of the number 36 in base 36. The problem of this method is that CONV works with a precision of 64 bits, so for large numbers (or rather long chains) will be inaccurate: a whole range of values ? ?will be accepted while a only value should be. To remedy this, here are some ideas for solutions. The inaccuracy is then carried over to the end of the new chain (i.e. the beginning of the chain not reversed) that we already know. Where SUBSTR (X, a, b) retrieves the substring of the string X starting at index a and having a length of b. These last two examples make an essential aspect of SQL injections: the manipulation of strings of characters. And it is not uncommon to use one or more functions handling chains to complete an injection. We already have showed the utility of REVERSE, which allows to return a chain, and of SUBSTR, which allows (like LEFT, RIGHT and MID) to extract a substring of a chain given, let’s see other examples now. The only result returned will be a string containing the identifiers of all members, built like this: login: pass, admin: plop, foo: bar. HEX can also accept a number as an argument, but UNHEX tells it always return a string of characters. So UNHEX (HEX (97)), returns the character with 97 for ASCII code. ASCII and ORD functions are also available to return the ASCII code of a character (or the first character of a string). There are also cases where MySQL will return the error Illegal mix of snacks, especially when fields joined with UNION contain chains of characters that do not use the same charset. Always to test the value of a chain, we can use the operator LIKE, which allows to say if a chain corresponds to a mask, which can be built with two wildcard characters:% that replaces a sequence of characters and _ which replaces only one. And so on until you find the exact value. We can use the different conversions to get rid of quotes, and the BINARY keyword for that the comparison is case-sensitive. The manipulations of chains are therefore common and very useful for SQL injection. Finally, for finish this paragraph, let’s see some tips that may be useful, using the comments. If the end of a request is embarrassing, we can comment in three ways: #, -, or /**/ (the last one can comment several lines). There is also a way to determine the version of MySQL using a special comment syntax: /*!CODE VERSION*/. We will only be able to access the files to which the MySQL server has access. We will not be able to rewrite existing files, which prevents overwriting important files. We will need to provide the full path of the file on the server, and not not the relative path. LOAD DATA INFILE ‘path/to/file’ INTO TABLE table. Note that this query only saves the file in the member table, the display will be done by a script of the type “list of members”. Here is now the special feature of LOAD DATA INFILE. We can read in the MySQL documentation: If LOCAL is specified, the file is read by the client program, and sent to the host. If LOCAL is not specified, the file must be on the host server, and will be read directly by the server. Using LOCAL is slower than letting the server directly access to the files, because the contents of the file must be sent via the network to the server. On the other hand, you will not need FILE privileges for do a local loading. This clearly means that by repeating the previous requests, but writing this time LOAD DATA LOCAL INFILE we will be able to recover the contents of files without the FILE privilege, which is a huge weakness. SELECT … INTO OUTFILE ‘/path/to/file. Finally, before closing this first part, note that these different operations on the files will also allow us to determine if a file exists or not on the server. Indeed, LOAD DATA INFILE needs a valid file path, otherwise the query will generate the error File ‘/www/ website/fake.txt’ not found. In the same way, INTO OUTFILE will only write a file if this does not already exist, in which case the error will be obtained File ‘/www/site/admin/.htpasswd ‘already exists. So we can use these errors to check the presence of a file. LOAD_FILE will also allow us to check if a file exists (and also if we have the privilege FILE) by testing that the return value is not zero.